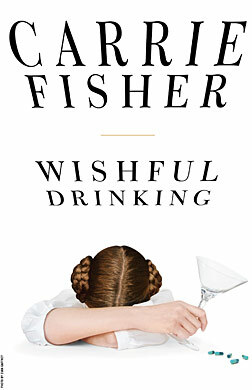 Even though I'm sure her one-woman show is funnier, Carrie Fisher's wit and humor definitely come across in this book. There's no plot, and little chronology, but it comes across the same as it would on stage. Just an iconic and kinda crazy woman, rambling on about her strange and interesting life. Any fans of Fisher or Star Wars would love it, and I think people who don't fit one of those categories would at least be amused by it. It's a quick read, with large print and pictures!